People gave them jungle gyms to avoid a total disaster. There are some personalities that seem to be disruptive by nature — and a certain wild bird in New Zealand is a testament to that. The kea is considered one of the world's smartest parrot. 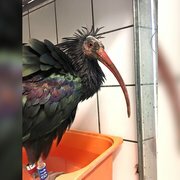 With this fierce intelligence comes a tendency for mischief, and this hasn't only caused damage to some people's cars — the birds tend to treat parts of cars as chew toys — but also caused some more serious threats. 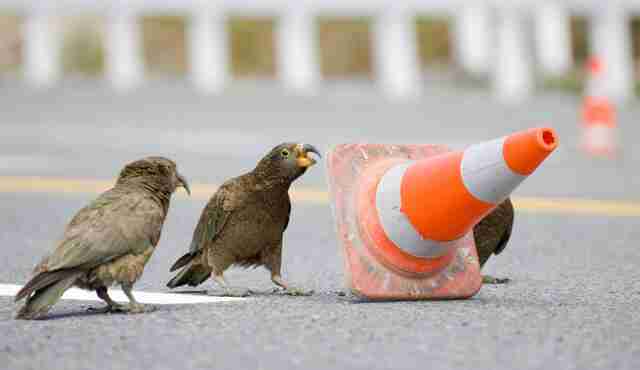 For instance, when the New Zealand Transport Agency (NZTA) recently discovered traffic cones near a tunnel had been totally displaced, camera footage revealed that these birds had been the culprits. Kea parrots have had a history of conflict with farmers. Until the birds were given some protections in the 1970s, farmers shot 150,000 of them because the kea had been attacking their sheep. 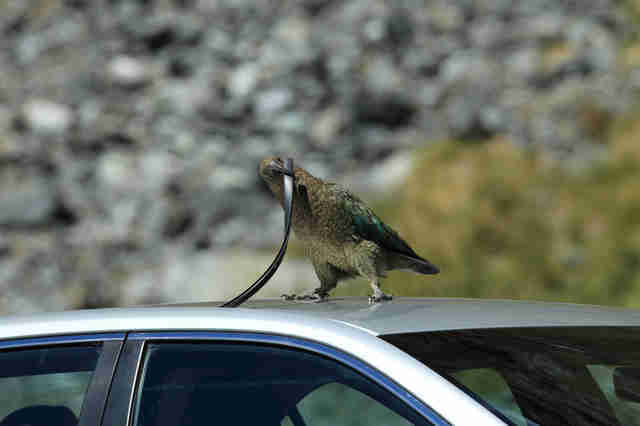 But now the kea is an endangered species — and no matter how disruptive they are, it's even more crucial to keep them around. So, instead of villainizing wildlife, the authorities in New Zealand decided to compromise. People gave these birds a jungle gym made just for them, with puzzles to keep their sharp minds busy. With these new entertainment centers, hopefully these birds will be less tempted to direct traffic. To help make sure these sharp birds are around for years to come, you can donate to the Kea Conservation Trust.